Elstow is a tranquil village, with interesting medieval buildings and some beautiful places where you can sit, relax and enjoy the atmosphere. At the heart of Elstow is the village green, on which stands a unique 15th century building - Moot Hall. Once the Abbey's courthouse, village meeting place and shopping centre, it is now a small museum, dedicated to John Bunyan and 17th century village life. Open every Saturday and Bank Holiday Monday afternoons from Easter to the end of October. ​Groups may book to visit at any time throughout the year. Casual visitors - the curator is often around in the afternoons and will, if he is available, open up on request - see Moot Hall notice board for details. 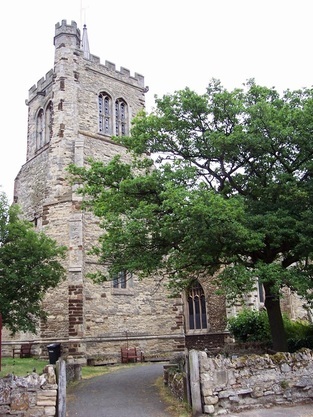 Formally a Benadictine nunnery, founded in 1078, the Abbey's Church building is now Elstow's parish church. One unusual architectural feature, now quite rare in England, is the bell-tower, which is seperate from the main church building.